President Ilham Aliyev of Azerbaijan, President Nursultan Nazarbayev of Kazakhstan, Kyrgyzstan's interim President Roza Otunbaeva and Turkmenistan's President Gurbanguli Berdimuhammedov were in attendance at the summit hosted by Turkish President Abdullah Gul. During the summit, the leaders agreed to appoint Turkish diplomat Halil Akinci as the first Secretary-General of the Secretariat who would officially assume his responsibilities following the entering into force of the Nakhchivan Agreement. During last year's summit in Nakhchivan on October 3, 2009, the leaders signed an agreement about establishment of the Council of Cooperation of Turkish Speaking States. The headquarters of the Council will take place in Istanbul. The leaders also decided to celebrate the signing day (3 October) of the Nakhchivan agreement as the Turkish Speaking States Cooperation Day. They confirmed the importance of putting into practice the initiative aiming at establishment of a special foundation for support of Turkish culture and preservation of Turkish heritage in Baku in order to preserve the rich Turkish cultural heritage. The leaders stated that they would promote the establishment of a union among universities to support the studies of the Turkish Academy in Astana. They decided to celebrate the 20th anniversary of the independence of Azerbaijan, Kazakhstan, Kyrgyzstan, Uzbekistan and Turkmenistan in 2011 through joint activities. Accordingly, they welcomed the proposal of Turkmenistan to organize a Turkish Speaking States cultural festival in Ashkhabad in 2011. The leaders also expressed their satisfaction about the successful completion of the referendum in Kyrgyzstan on June 27, 2010. Highlighting importance of the parliamentary elections on October 10 for regional peace and stability, they confirmed that they would continue to support Kyrgyzstan during this transitional period. The leaders invited international community to actively participate in the International Donor Conference for assistance to Kyrgyzstan to be organized by Kazakhstan in Almaty. They expressed their deep regret over the raid of Israel to the humanitarian aid convoy sailing in international waters on May 31, 2010, causing the death of nine innocent civilians. The leaders emphasized the importance of the settlement of the disagreement concerning the nuclear programme of Iran through dialogue and diplomacy for regional and global peace and stability. 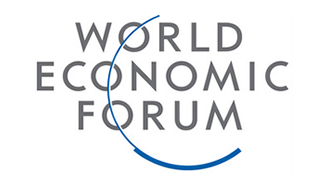 The leaders also agreed to establish Turkish Speaking States Business Council in order to foster economic cooperation and decided to explore the possibility of the establishment of the 'Turkic Speaking States' Development Bank' in Istanbul and a joint Insurance Company in order to support development of non-oil sectors and create new opportunities for private sector. The first summit of Turkish Speaking Countries Cooperation Council will be held in Kazakhstan in 2011 and Kyrgyzistan will host the second summit in 2012. This week's tenth summit of Turkic-speaking states' leaders in Istanbul once again demonstrated the support that Azerbaijan enjoys in the restoration of its territorial integrity, said Mustafa Kavakchi, Turkish MP from the ruling Justice and Development Party. "The summit of Turkic-speaking states was held in order to resolve common problems, one of which is the Nagorno-Karabakh conflict. The world was once again convinced that Azerbaijan is not alone in this regard," Kavakchi, chairman of the Azerbaijani-Turkish parliamentary friendship group, told Trend by telephone from Ankara. All countries that participated in the summit and joined the Council of Turkic-speaking countries support Azerbaijan." An agreement was signed to establish the Cooperation Council of Turkic-speaking countries within the one-day summit of Turkic states' leaders. 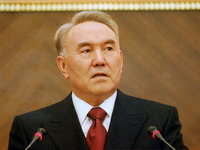 Kazakh President Nursultan Nazarbayev initiated the establishing of the organization at a summit in Antalya in 2006. A forum in Nakhchivan three years later resulted in the signing of an agreement to establish the new international structure. The CCTC will be the basis for a new regional Turkic union, which is designed to strengthen the unity of peoples with similar languages and cultures environment, and to strengthen their political and trade relations. According to the Turkish MP, the summit in Istanbul once again proved that the countries that have the same roots and speak in related languages should gather to solve the existing common problems, but not pursuing the indirect targets. "The summit of Turkic-speaking states was conducted not in opposition to other countries and is not directed against other regional states, but became a step forwards solving common problems of the Turkic world to prevent violence," said Kavakchi. Turkish MP believes that the Council of Turkic-speaking states will be able to create a framework for addressing the problems of each country, including the occupation of Azerbaijani lands.